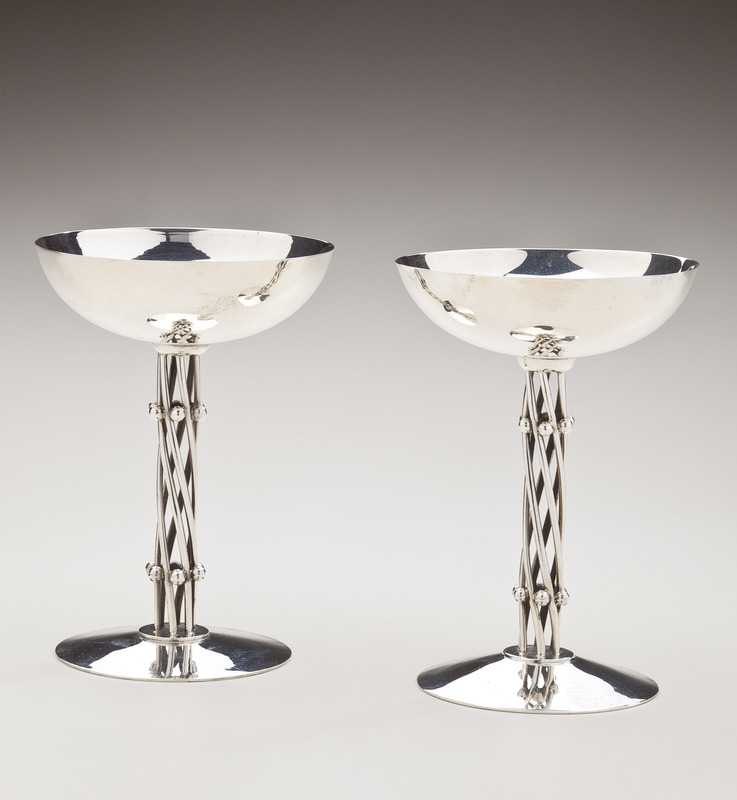 A set of eight sterling silver goblets by master silversmith, William Spratling (1900-67) Spratling originally designed these twisted stem goblets for champagne. Today they can also be used for ice cream. Hallmarked on the bottom with Spratling's conjoined WS mark in a circle and the government's eagle 63 mark guaranteeing silver content. These goblets were retailed in the Los Castillo shop, presumably after Spratling's untimely death. They have a Los Castillo and sterling mark impressed on the under side of the base. Excellent with slight surface scratches consistent with age and wear.